Galleries at Park Lane offers luxury living above the unparalleled Shops at Park Lane in the Midtown neighborhood of Dallas, Texas. Residents of Galleries at Park Lane have a myriad of options to choose from with two unique buildings. Block E, a concrete renovation, was designed with urban exposed ceilings, waterfall countertops, hanging pendant and track lighting, barn doors, double height windows, and sunken living rooms. Block G, with modern and traditionally designed homes, offers high-end condo features with custom cabinets, upgraded bathrooms, loft options and sprawling floorplans. Offering two fitness centers, two resident great rooms, private men's & women's sauna, a full sized golf simulator, pool with spa and a 2500 rooftop terrace and game room, your elevated lifestyle starts here. Step downstairs to the Shops to discover brands like Nordstrom, Saks Off Fifth, Bloomingdales The Outlet, J.Crew Mercantile and many more. 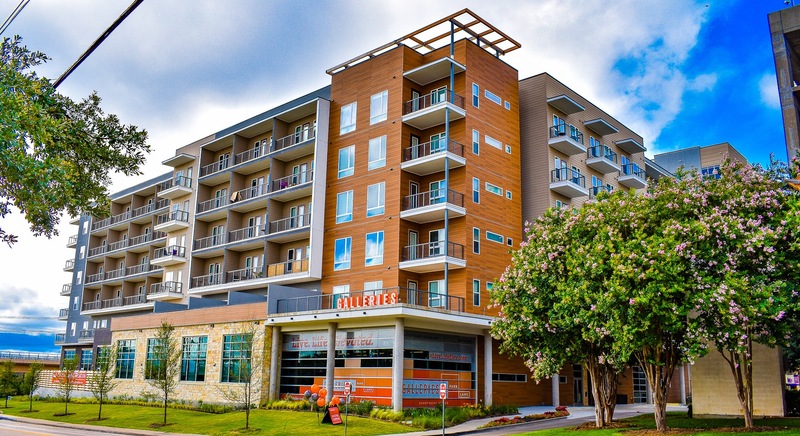 With convenient dining and grocery options like Whole Foods, Starbucks, Bowl & Barrel just an elevator ride away, Galleries at Park Lane boasts an unbeatable location in Midtown Dallas. Welcome home to Galleries at Park Lane, a Northwood Ravin signature community.